A pool of winter light spills on the attic floor of Bovagh, County Derry. Dating from c.1740 the house was originally built as a residence for the land agent of the Beresford family who had a large estate in this part of the country. In the last century it was occupied by the Hezlets. Restoration work on the building was undertaken in recent years. 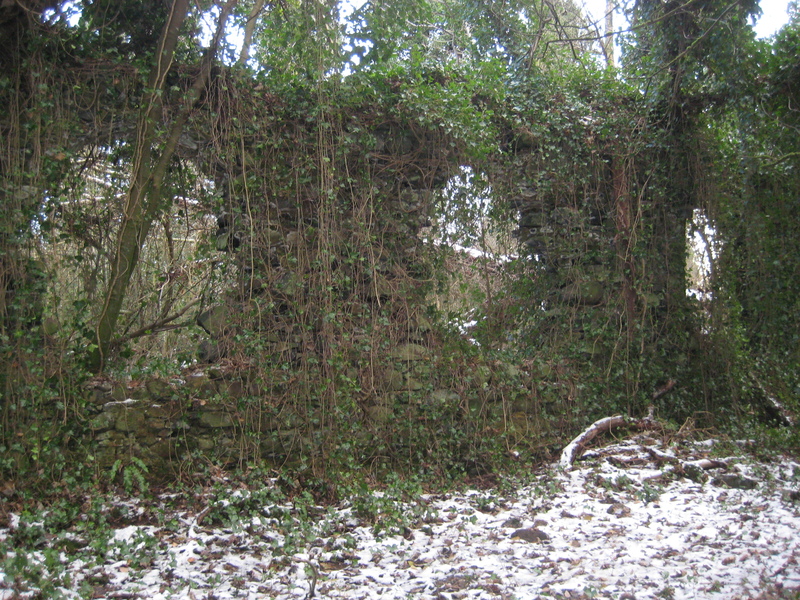 The remains of the old church at Ballykelly, County Derry, a building which suffered from successive assaults – it is known to have been badly damaged in both the 1640s and the 1690s – but continued to be used for religious services until 1795 when a new church was built not far away. Internally its most significant remaining feature is the sandstone semicircular arch presumably added in 1719 when the church was extended by the addition of a chancel. More peculiarly in 1848 the south wall of the church was taken down to accommodate one end of a large neo-classical mausoleum dedicated to the Cather family, with its oversized anthemion acroteria at each corner. 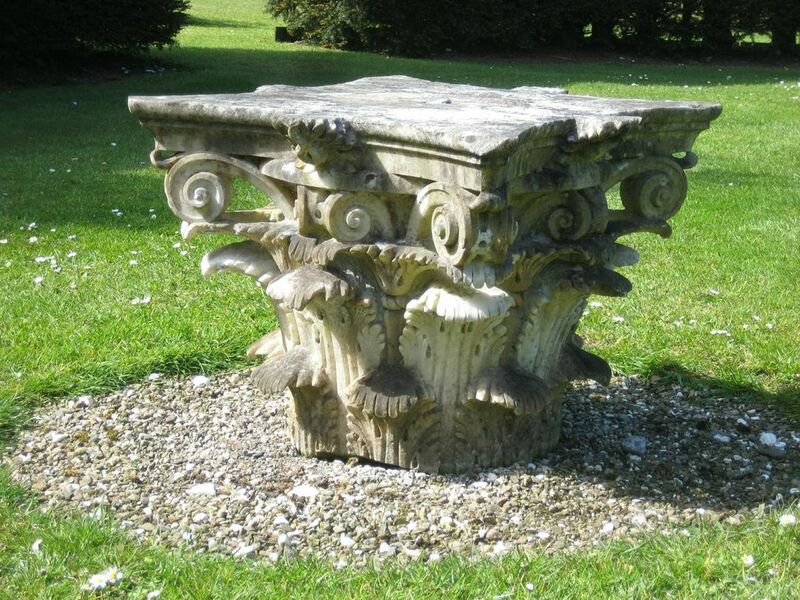 Unfortunately this monument’s poor condition suggests it could soon go the same way as the adjacent ruined church. In mid-December 1761 outside Lifford Gaol, County Donegal John MacNaghten was hanged not once but twice. A month earlier he had killed a young woman to whom he claimed to be married. More than twenty years earlier MacNaghten had inherited an estate at Benvarden, County Antrim with an annual income of some £600, but his addiction to gambling meant he was obliged to sell or mortgage the greater part of the property. Circumstances improved following marriage to Sophie Daniel, daughter of the Dean of Down who brought with her an impressive dowry. Unfortunately MacNaghten soon resumed his old ways and by 1756 had accumulated such significant debts that a warrant was issued for his arrest. Around this time his wife died in childbirth, leaving him penniless once more. In a further attempt to improve his fortune he managed to be appointed to the lucrative post of tax collector for Coleraine but then gambled away £800 of the state’s money: his estate was now sequestered and by 1760 he was without recourse to funds. An old family friend, Andrew Knox who lived at Prehen, County Derry took pity of MacNaghten and offered him support. Knox had a fifteen-year old daughter Mary Anne who was already in line to inherit £6,000 and possibly much more should her elder brother not have any children. MacNaghten and Mary Anne Knox developed some kind of romantic relationship and even seem to have gone through a form of marriage ceremony before her father discovered what was taking place and forbade further contact between the two. He was in the process of travelling with his daughter to Dublin in November 1761 when their carriage was intercepted by MacNaghten, intent on carrying off the young girl. In an exchange of gunfire, Mary Anne was accidentally and fatally wounded. It did not take long before MacNaghten was arrested, tried at Lifford Courthouse and sentenced to death for her murder. When the day came for him to be hanged, the rope broke and so he had to be strung up a second time. Forever after he has been remembered as Half-Hanged MacNaghten. Originally from Scotland, the Knox family settled in Ireland during the 17th century, the first of them to come here being an Anglican clergyman Andrew Knox who in 1610 was appointed Bishop of Raphoe, County Donegal. In 1738 his great-grandson, the aforementioned Andrew Knox, father of the unfortunate Mary Anne and long-time MP for Donegal in the Irish Parliament, married Honoria Tomkins, heiress to the Prehen estate. 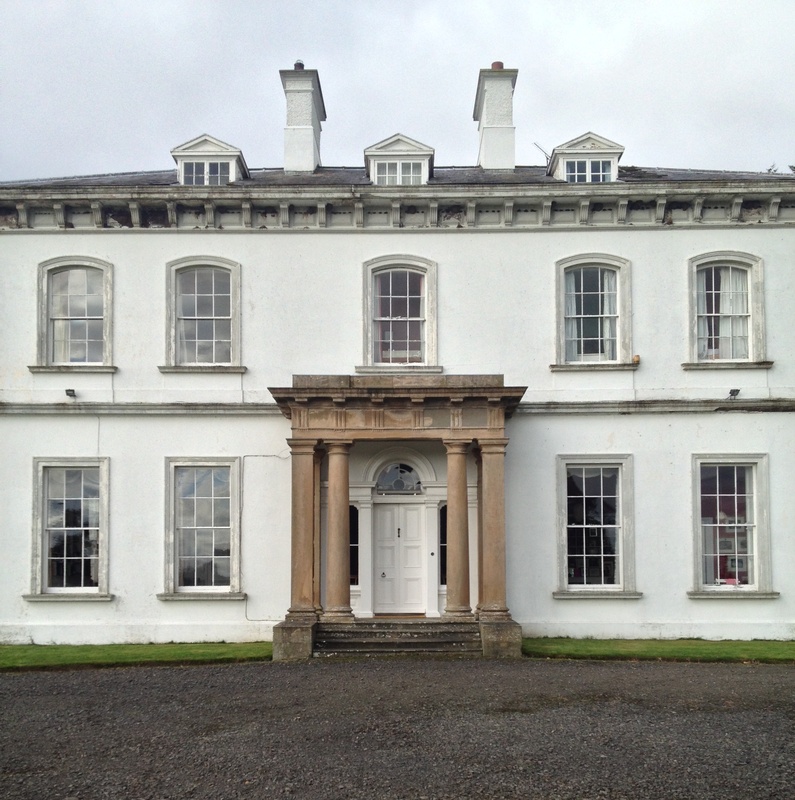 The following decade the couple built themselves a new residence here overlooking the river Foyle and some two miles upstream from the city of Derry. The house’s design is attributed to Michael Priestley, about whom relatively little is known except that he was responsible for a number of buildings in north-west Ulster. 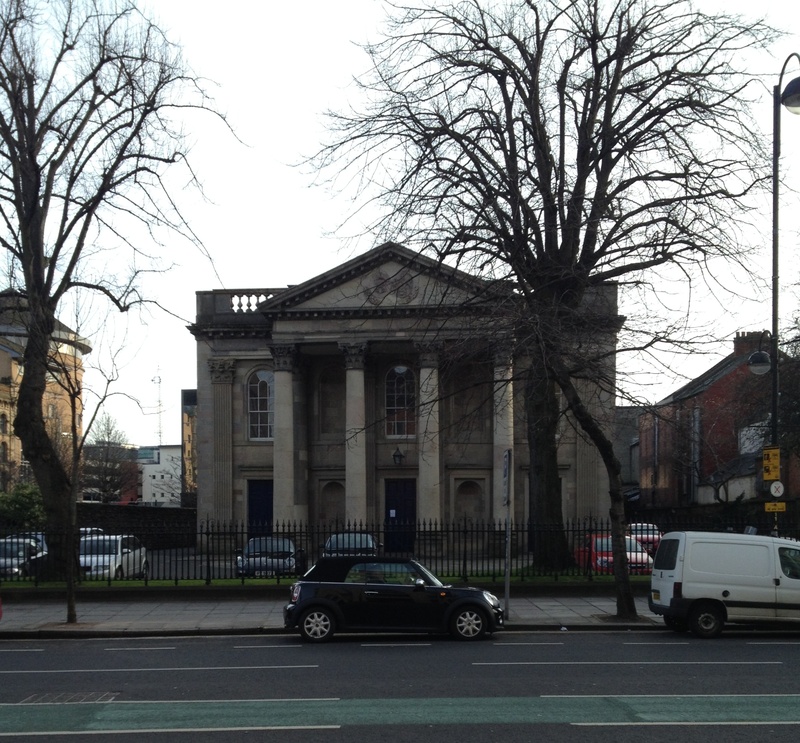 Incidentally, among his other commissions was Lifford Courthouse and Gaol, outside which John MacNaghten was twice-hanged: a curious architectural link with Prehen, although probably of little interest to the condemned man. Built of rubble with ashlar dressings, the house has two storeys over basement and is of four bays, the centre two being slightly advanced and featuring a handsome sandstone Gibbsian doorcase and at the top a pediment with the Knox coat of arms. The interior is equally fine for the period, beginning with a substantial flagged entrance hall off which open a series of reception rooms to left and right while symmetrical doors to the rear give access to a main and service stairs respectively. A similar arrangement pertains on the first floor where the central space to the front of the building is taken up by a substantial gallery with coved ceiling. The Knoxes remained at Prehen until the outbreak of the First World War when, for reasons that need to be explained, the estate was seized by the British government. Back in the mid-19th century Colonel George Knox married a Swiss girl, Rose Virgine Grimm and in turn one of their daughters Virginia was married to the German scholar and former student of Nietzsche Dr Ludwig von Scheffler of Weimar. Their son, Georg Carl Otto Ludwig von Scheffler became Adjutant to the Commander of the Cadet Corps Governor of the Royal Pages in the Prussian Army and was raised to the rank of baron by the Kaiser. On the death of his maternal grandfather George Knox in 1910, he inherited Prehen and assumed the additional surname of Knox. The Baron stayed at Prehen until August 1914 when war was declared between Britain and Germany. Initially placed under house arrest, he escaped and returned to Germany. In his absence, however, Prehen and its lands were confiscated by the government as enemy property. Following the conclusion of hostilities, the estate was liquidated at public auction under the terms of the 1916 Trading with the Enemy Amendment Act: Baron von Scheffler Knox only returned to see Prehen in the 1950s accompanied by his son, Johann Von Scheffler Prehen Knox who only died five years ago. By the early 1970s Prehen was in poor condition. Requisitioned during the Second World War for troop accommodation, the house had been internally subdivided, a secondary door inserted into one of the main entrance’s sidelights, and there were large holes in the roof. 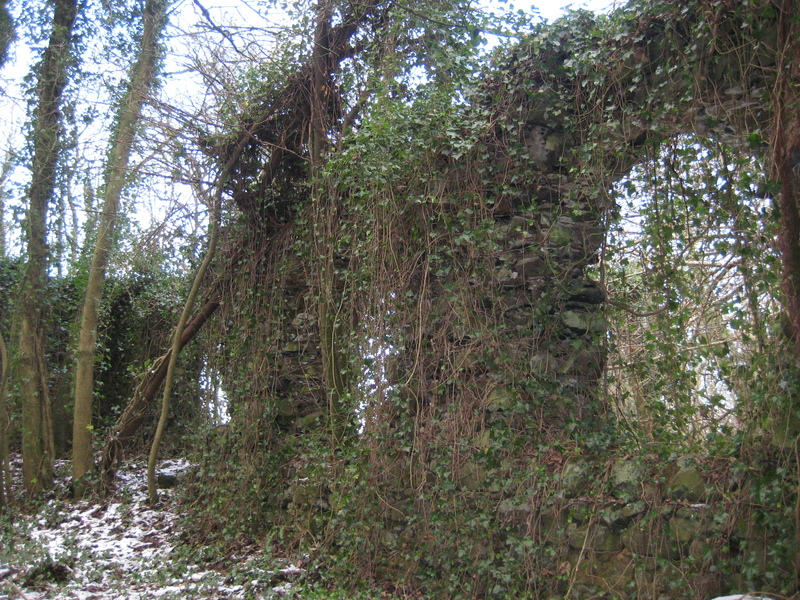 On the verge of complete dereliction the property was then bought by Julian Peck and his American-born wife Carola: the couple had previously restored Rathbeale, County Dublin. Julian Peck had a family link with the place, his mother being author Winifred Peck (née Knox), one of a remarkable band of siblings whose other members included Monsignor Ronald Knox, Roman Catholic priest and detective story writer, Alfred ‘Dilly’ Knox, who worked as a code breaker during both the First and Second World Wars (he was employed at Bletchley Park until his death in 1943), the Church of England clergyman Wilfred Knox, and the poet and editor of Punch Edmund Knox (whose daughter was the novelist Penelope Fitzgerald). The Pecks rescued Prehen, bringing the house back to life and filling it with animation. Several of the rooms have had their walls painted, those in the entrance hall being covered with frescoes by Alec Cobbe. Meanwhile the dining room was decorated by Carola Peck in a style that blends Pompeii with Puvis de Chavannes. Julian Peck lived in the house until his death in 2001, followed by his wife in 2014. Their surviving son Colin sadly died last August, thereby ending a long connection between the Knoxes and Prehen. However the house survives as a testament to this remarkable family, and to the curious history of Half-Hanged MacNaghten. The staircase in Ashbrook, County Derry, one of the oldest continuously occupied houses in this part of the country. The land on which it sits was granted to General Thomas Ash by Elizabeth I in the 1590s as a reward for his aid in quashing the O’Neill Rebellion during the Nine Years War and the family (later Beresford-Ash) has remained there ever since. The rear section of Ashbrook is a 17th century house but in the 1760s a new section was added to the front providing ground floor rooms with higher ceilings than had hitherto been the case. As a result, upper floor levels had to be altered resulting in the present arrangement, seen below, whereby a single flight of stairs leads from a top-lit gallery to bedrooms at the front of the house. In the parish church of Tamlaght Finlagan, Ballykelly, County Derry is this monument to Mrs Jane Hamilton (nee Beresford) who died in 1716. By an unknown sculptor, the work is not so much based on as directly copied from Grinling Gibbons’ monument to Mary Beaufoy in Westminster Abbey who died eleven years earlier. The latter’s tomb was originally surmounted by an urn and garlands of flowers but these were removed in the late 18th century: they remain in place in the Tamlaght Finlagan monument. The most notable difference between the two pieces lies in the poses taken by mourning putti on either side of the main figure. One of those attending Mrs Hamilton is shown below (note also the elegant heels on the deceased’s shoes). In the accompanying tablet, she is described as not only ‘adorned with all Graces and Perfections of mind & Body,’ but then ‘crown’d them all with exemplary Piety & Virtue.’ Who could ask for more? The fondness of Frederick Augustus Hervey, Bishop of Derry and Earl of Bristol for building projects has been discussed here more than once, and attention paid to that on which he embarked around 1787/88 at Ballyscullion (see Let the Door be Instantly Open, For There is Much Wealth Within…, March 31st 2014). Within ten years of the Earl-Bishop’s death in 1803 the property here had already fallen into decay, with significant portions of its structure removed for re-use elsewhere. The estate was inherited by a kinsman, the Rev. Sir Henry Hervey Bruce and in 1840 Charles Lanyon designed a handsome new residence for his son, Admiral Sir Henry Bruce (who at the age of 13 had fought at the Battle of Trafalgar and went on to command the British fleet in the Pacific). 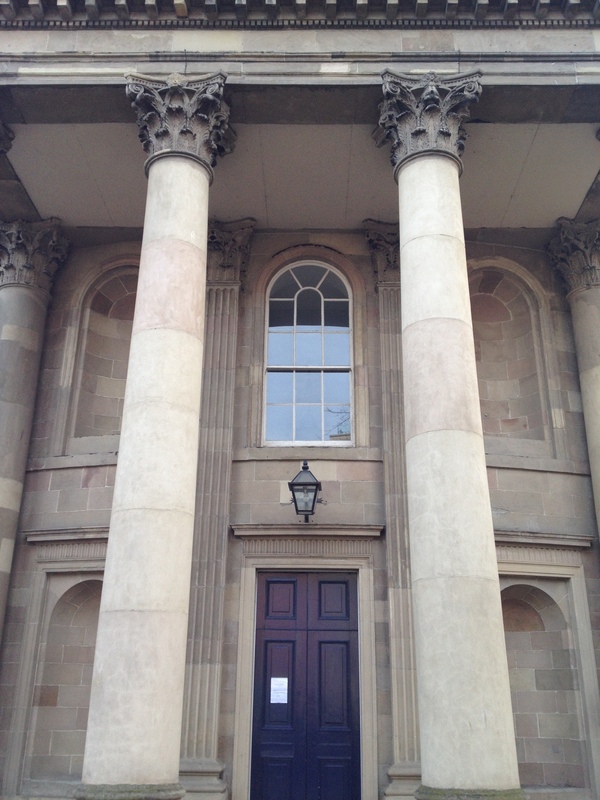 Above and below are views of the garden front, entirely stuccoed except for the sandstone Doric columns flanking the tripartite window providing access to the drawing room: these are in the same material and style as the entrance porch on the other side of the house. 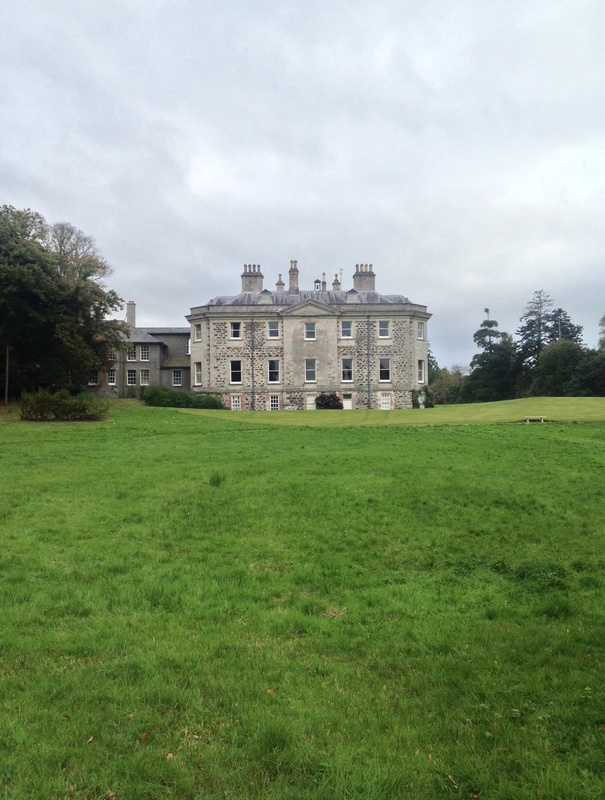 Ballyscullion Park remained in the possession of the Bruce family until sold in 1938 to the Hon. Sir Harry Mulholland, first Speaker of the Northern Ireland Parliament at Stormont: it is now cared for by Sir Harry’s grandson Richard and his wife Rosalind. A little house in the yard of the big house at Bovagh, County Derry. This thunderbox* is rather unusual, since not only does it contain two compartments with a dividing wall between them, but each chamber held a pair of adjacent seats, thereby allowing dual occupation (and as can be seen above, a communal chute dropped waste into the same hole). Below is a photograph showing the view enjoyed by users through the thunderbox’s gothic windows. 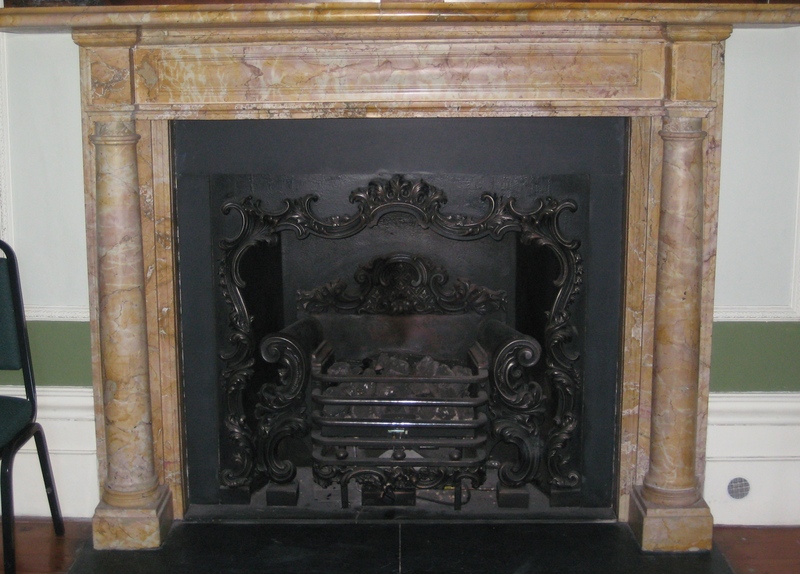 Dating from the mid-18th century Bovagh was originally a Beresford house, most likely built as an agent’s residence. 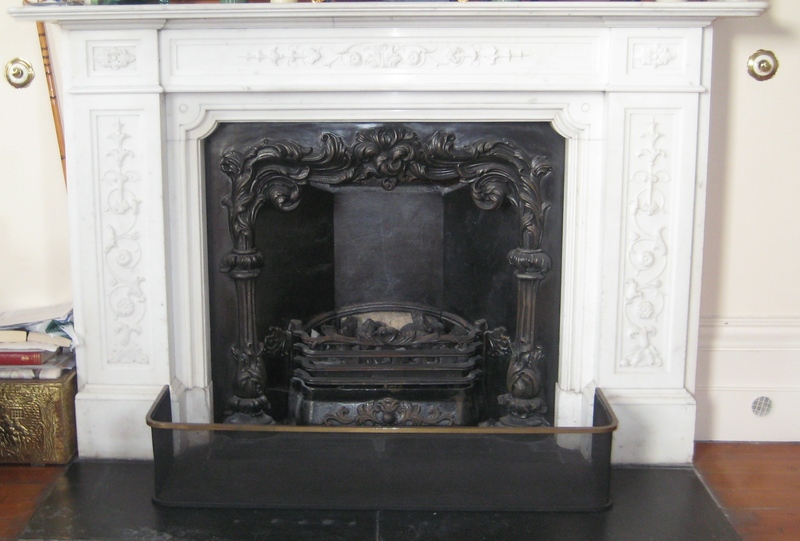 It will be one of the properties discussed by Daniel Calley next Tuesday evening, 19th April in his talk ‘John Beresford “the king of Ireland” and some Beresford Family Houses’ at the RSAI, 63 Merrion Square, Dublin. 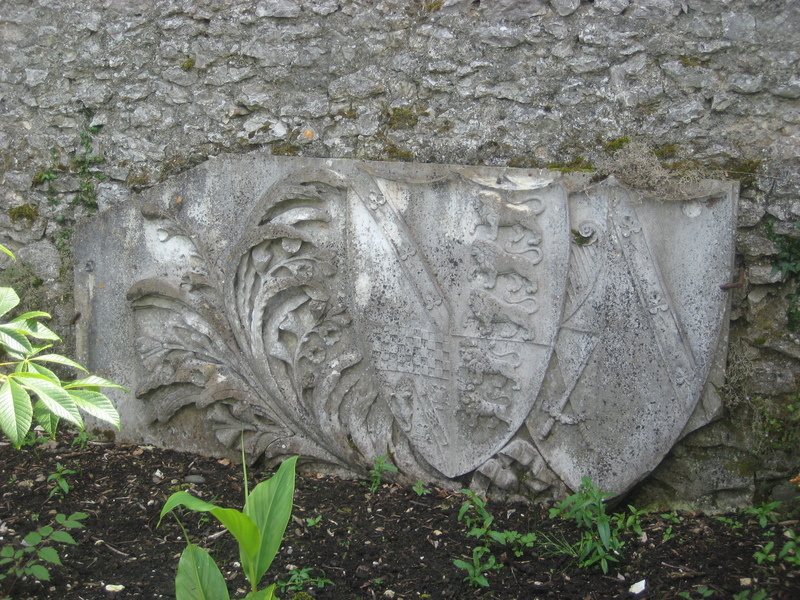 For more information, see https://www.igs.ie/events/detail/john-beresford-the-king-of-ireland-and-some-beresford-family-houses. *For those unfamiliar with the term, a thunderbox is an outdoor latrine once commonly found in country house yards. In the early 18th century Joshua Dawson, MP for County Wicklow and Secretary for Ireland during the reign of Queen Anne, laid out the street in Dublin that still bears his name and there built himself a residence which subsequently became the Mansion House. Around the same time he also had a new property constructed at Castle Dawson, the County Derry estate acquired by his grandfather Thomas Dawson in the 1630s. This house was subsequently demolished by Joshua’s son Arthur who in the mid-1760s built another, called Moyola Park, the garden front of which can be seen here. The building has been subject to several alterations: the block to the left, for example, was only added in the 1920s. But more importantly, the three-sided bows at either end, as well as the plate-glass windows, are 19th century additions. At that point the staircase was moved from the centre of the single bay pedimented breakfront overlooking the gardens garden to elsewhere in the house. One wonders if the original stairs might have been incorporated within some kind of bow, since an arch of cut stone in the middle of the bay differs somewhat in colour from that on either side. Moyola Park has remained in the hands of its original builder’s family although passing through the female line so that the occupants are now called Chichester-Clark; the late James Chichester-Clark, who served as Northern Ireland Prime Minister until his resignation in March 1971, was subsequently created Baron Moyola.